Cool for 30 mins, then refrigerate for about 2 hours. Whip cream. Beat with sugar till stiff peaks form. 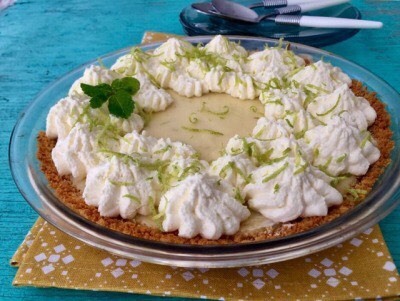 Top pie with cream, zest and slices.